Diesel deregulation would result in a sharp fall in diesel inflation to 4 percent from 13 percent by December 2014, says Motilal Oswal. This paves the way for a sharper decline in inflation indicators, ahead of expectations. RBI may cut rates 2-3 quarters ahead of consensus expectations on the back of these developments, says Motilal Oswal, adding that the government would be able to limit the oil subsidy bill within the budgetary target of 634 billion rupees. New Delhi - Petrol price was Tuesday cut by Re 1 a litre, but the first reduction in diesel rates in over five years will have to wait till completion of assembly polls. State-owned oil firms, which cut petrol price by 54 paisa on October 1, reduced rates by another Re 1 per litre, excluding local sales tax or VAT, with effect from Wednesday, Indian Oil Corp (IOC) announced here. The price revision was due Wednesday evening but was announced today ahead of polling in Maharashtra and Haryana. 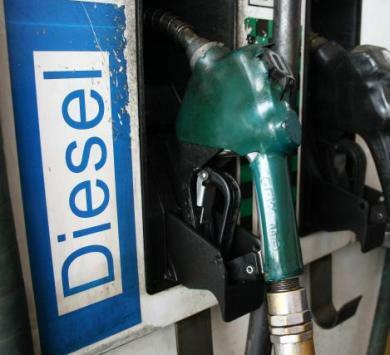 New Delhi: Diesel price is likely to be cut by about Re 1 per litre, the first reduction in rates in over five years, while petrol price may be slashed by Rs 1.75. State-owned oil firms are likely to announce reduction in rates, made possible because of softening in international oil rates, this evening, government and industry sources said. Under-recovery or the difference between retail price and its imported cost was wiped out and there was an over-recovery of 35 paise a litre from September 16. This over-recovery is now about Re 1 a litre. New Delhi - Russia's biggest oil company Rosneft has offered Oil and Natural Gas Corp (ONGC) a stake in its Yurubcheno-Tokhomskoye oilfield in eastern Siberia. 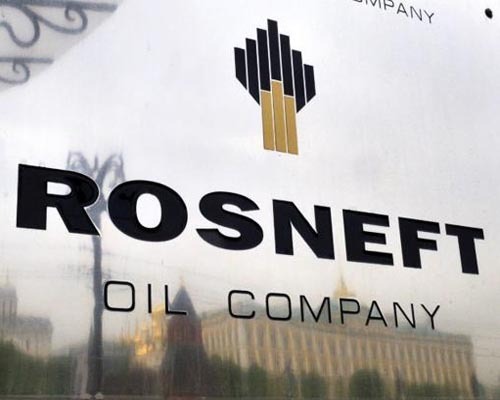 Rosneft on August 5 sent a formal proposal to ONGC Videsh Ltd, the overseas arm of state-owned oil and gas producer, for joint development of Yurubcheno-Tokhomskoye oilfield, sources with direct knowledge of the development said. New Delhi, Sept. 20 - Taking a serious note of the delay in the completion of the Assam Gas Cracker project, Union Minister for Chemicals and Fertilizers Ananth Kumar has directed the project's mechanical completion by November, 2014 and commissioning by June, 2015. 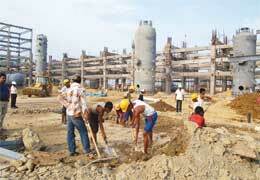 A meeting was held on Friday to review the progress of implementation of the Assam Gas Cracker Project. The project, undertaken by the Brahmaputra Crackers and Polymers Limited (BCPL), has achieved an overall physical progress of 97.8 percent so far. New Delhi : India's largest oil and gas producer ONGC on Friday said it has invested Rs 81,890 crore in bringing on stream newer discoveries and arrest natural decline that has set in its ageing fields. "Our major oil and gas producing fields are ageing and showing natural decline," ONGC Chairman and Managing Director Dinesh K Sarraf told shareholders at company's annual general meeting (AGM) here. However, ONGC has taken measures to arrest this trend and uphold production from such fields, he said. Oil and Natural Gas Corp (ONGC) has deployed the best-in-class technologies in its Improved Oil Recovery (IOR) and Enhanced Oil Recovery (EOR) schemes on these fields. 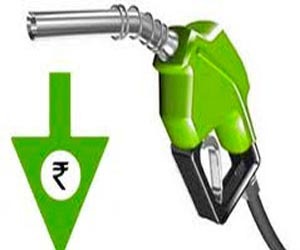 New Delhi: Diesel prices, for the first time in over 5 years, should have been cut by 35 paisa on falling global rates but oil companies have decided to hold on to the rates pending a government decision on deregulation. Under-recovery or the difference between retail price and its imported cost on diesel was 8 paisa per litre in the first half of September. The under-recovery in the second half has turned into over-recovery or profit of 35 paisa per litre. "Naturally, when there is an over-recovery or profit, rates should have been cut but oil companies are holding the price line as they await a clear decision from the government on diesel price deregulation," an official said. London, Sep 05 : A United States court has reportedly ruled against BP in the 2010 Deepwater Horizon oil spill case, a report said. The court's verdict said that BP subcontractors Transocean and Halliburton were "grossly negligent" and held them responsible for the oil spill in the Gulf of Mexico, reported the BBC. The ruling may cost BP billions of dollars more in compensation payments. It has already spent 43 billion dollars to cover fines, legal settlements, and clean-up costs. New Delhi, Sep 1 : Diesel under-recovery has been decreased to Rs. 0.08 per litre for a fortnight commencing from today. Oil Marketing Companies (OMCs), effective September 1, are now incurring a combined daily under-recovery of about Rs 195 crore on the sale of diesel, PDS kerosene and domestic LPG. This is lower than the Rs. 230 crore daily under-recoveries during the previous fortnight. The under-recoveries for the financial year 2014-15 are projected to be Rs. 91,665 crore, while the figure was Rs. 1, 39,869 crores in 2013-14. New Delhi - As government debates on gas price hike and a new contract for oil and gas exploration, Vedanta Resource today said domestic rates should be linked to international markets and an independent regulator be set up. Speaking at an Oil & Gas Seminar organised by Indian Chambers of Commerce, Vedanta chief executive Tom Albanese said "the current policy environment fostered uncertainty and did not encourage intensified exploration and production of domestic resources." New Delhi : After Governors, the Narendra Modi government is removing independent directors appointed by the previous UPA regime on PSU boards, beginning with sacking of four directors on the board of Indian Oil Corp (IOC). IOC, the nation's largest company, in a filing to the stock exchanges said, "K Jairaj, Nesar Ahmad, Sunil Krishna and Sayan Chatterjee have ceased to be Independent Directors on the Board of the company on August 27, 2014." New Delhi: Oil Ministry will seek Cabinet nod for freeing diesel prices after retail rates achieve parity with global levels, and has proposed to cut subsidy payout by upstream firm like ONGC by half. While the government had freed petrol price from its control in June 2010, it had started a phased deregulation of diesel rates in January last year with up to 50 paise a litre increase in rates every month. Under-recovery, or the difference between retail selling price and its imported cost, has since come down to Rs 1.78 a litre and going by the international trend the pump rates will be at par with their cost by end of October. New Delhi - Ahead of a panel of secretaries beginning work on a new gas pricing mechanism, an association of top energy firms has warned that going back to cost-plus pricing will be a retrograde step that will lead to rewarding inefficiencies. The Association of Oil and Gas Operators, which is made up for over two-dozen members including the likes of Reliance Industries, ONGC, Cairn, BP, BG, BHP and Essar, on August 18 wrote to Oil Minister Dharmendra Pradhan listing out pricing challenges and how a market driven pricing will boost output. 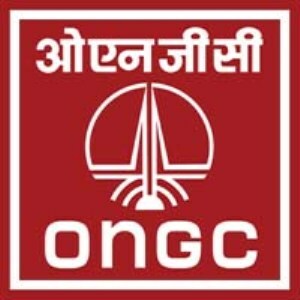 New Delhi: As many as 14 merchant bankers, including Citigroup Global, Barclays Plc and Morgan Stanley, have made a beeline for managing the 5 percent stake sale of ONGC, which could fetch over Rs 17,000 crore to the exchequer. Others who have applied for the job include Deutsche Equities, HSBC Securities, Nomura Financial, JM Financial and SBI Capital. Shares of ONGC today closed at Rs 423.80, down 2.62 percent over previous close on the BSE. At the current market price, a 5 percent stake sale or over 42 crore would fetch about Rs 17,800 crore to the exchequer. New Delhi, Aug 19 - The Ministry of Petroleum and Natural Gas has decided to increase the price of high speed diesel by Rs. 1.78 per litre after reviewing international prices of crude oil and petroleum products during the first fortnight of August. The hike in diesel prices is effective from August 16. 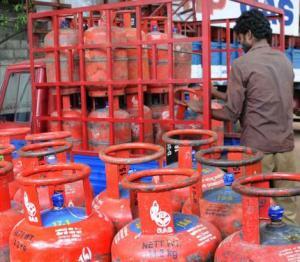 In the case of kerosene and domestic LPG, the under recoveries for the second fortnight of August continues to be Rs 32.98 per litre and Rs 447.87 per cylinder respectively. Singapore - Brent crude edged up towards $102 a barrel on Tuesday, but stayed near a 14-month low reached in the previous session on weak demand and easing concerns over risks to supply. Brent shed nearly $2 on Monday, as investor worries over conflict in Iraq eased, and as higher Libyan oil output added to already ample supplies. "There is still plenty of oil in the market, mostly due to weak demand from refineries in Europe and Asia," said Yusuke Seta, a commodity sales manager at Newedge Japan. Chennai: State-owned Indian Oil Corporation has proposed to invest about Rs 1,200 crore during the current financial year for expanding its Liquefied Petroleum Gas (LPG) pipeline projects. "Recently, the Corporation has renewed focus on LPG pipelines so as to leverage the economics and safety aspects of LPG transport via pipelines. With increased LPG imports and significant evacuation through tankers, LPG piplines are in the next growth avenue," IOC said in its annual report. New Delhi, Aug 14 : ONGC Videsh signed Production Sharing Contracts (PSCs) for two onland exploration blocks B-2 and EP-3 in Myanmar on August 8 this year. The PSCs were signed at Nay Pyi Taw, Myanmar by Director (Exploration), ONGC Videsh, Managing Director of Machinery and solutions Co. Ltd. (M and S), local partner, and Managing Director of Myanmar Oil and Gas Enterprises Ltd (MOGE), National Oil Company of Myanmar. The Minister of Energy, Government of Myanmar presided over the signing ceremony and other Union Ministers, Regional Ministers, representative from Indian Embassy and seniors officers from MOGE attended the function. 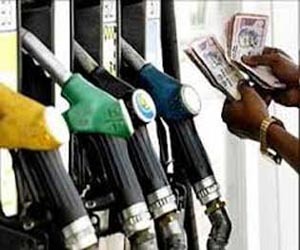 New Delhi: Petrol price will be cut by Rs 1.89-2.38 per litre from August 15, the second reduction in rates in a month and the steepest in 11 months. Petrol price, which were last cut by 90 paise (Rs 1.09 a litre after including local sales tax) on August 1, will be further reduced by Rs 1.81 per litre. After including local sales tax or VAT, the reduction in Delhi comes to Rs 2.18 per litre. Petrol from August 15 here will cost Rs 70.33 a litre as compared to Rs 72.51 currently.